New analysis has revealed that the global marcoms M&A market in Q1 2018 was led by a dramatic increase in private equity (PE) backing. Almost a quarter (22%) of all deals involved PE, 41 in total, double the 11% seen in the last two quarters of 2017. The study was carried out by Results International, a leading international advisor on M&A and fundraising to the global marketing, technology and healthcare sectors. Significant PE exits in Q1 included Capgemini acquiring full-service digital agency LiquidHub for $500 million from Chrys Capital, and the acquisition of out-of-home media solutions company Ocean Outdoor by LSE-listed investment vehicle Ocelot Partners (which renamed as Ocean Outdoors Limited following the acquisition) from Searchlight Capital, for $274m. Julie Langley, partner at Results International, comments: “Total PE activity for 2017 was up on 2016, and this quarter is showing an even larger jump in deal volumes. Transactions such as LiquidHub and Ocean Outdoor reinforce that not only are private equity finding valuable marcoms businesses to invest in, but that these investments are delivering exits and returns – a key factor in driving continued PE interest in the sector. Overall worldwide deal volumes were fairly static in the first three months of the year at 187, down fractionally from 193 in Q4 2017. Dentsu was the most active buyer this quarter with seven deals, while Accenture, WPP and Omnicom all made three acquisitions. WPP notably had its quietest quarter in recent years. 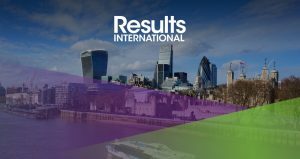 Julie Langley, partner at Results International, comments: “The holding companies as a whole did fewer deals in Q1 than in any quarter in 2017. Ahead of Sir Martin Sorrell’s sudden departure WPP announced only three deals in Q1 versus 30 in the whole of 2017. This unexpected news is likely to create even more internal focus on succession and restructuring. That said, we expect to see WPP continue to announce deals, but most likely in line with the lower volumes seen recently. “In contrast, Dentsu appears to be on track to do a similar number of deals as in 2017, and Publicis has recently announced a war-chest of €300-500m per year to be invested in areas such as data and digital transformation. “What is interesting is that whilst the networks, for the most part, have seen revenue growth slow and are struggling with headwinds, we see really healthy performance amongst many of the independents who are able to respond nimbly to the changing environment. Full-service digital agencies remained the most active subsector of marcoms in Q1 2018 with 28 deals, 15% of the overall market. The research also found that 26% of deals were cross-border in Q1. Volumes of transactions involving UK targets were broadly static, suggesting Brexit is still not really putting acquirers off, but deals in Western Europe slipped slightly to 19% of overall volumes, down from a quarter of activity in Q4 2017. Julie Langley concludes: “The slight fall in the proportion of deal activity in Western Europe is just a blip. There is still huge demand for scaled targets in the main European markets of Germany, the Nordics and France and we are confident that by the year-end the proportion of deal activity involving Western European targets will be back up to where it was in 2017.